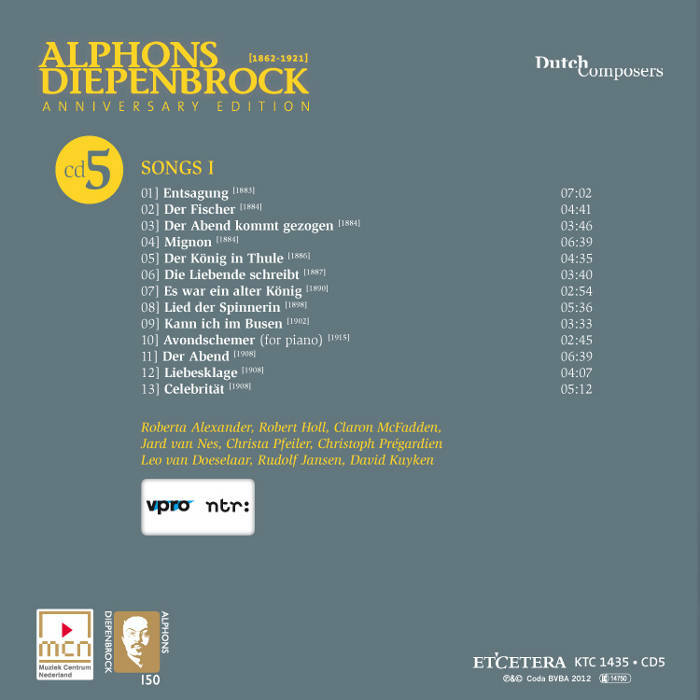 On 4 November 1905 Diepenbrock confided in a letter to the Rotterdam conductor and organist-pianist A.B.H. (Anton) Verhey that he would like to compose a piece for piano solo for him, but that he was not to count on it too much. 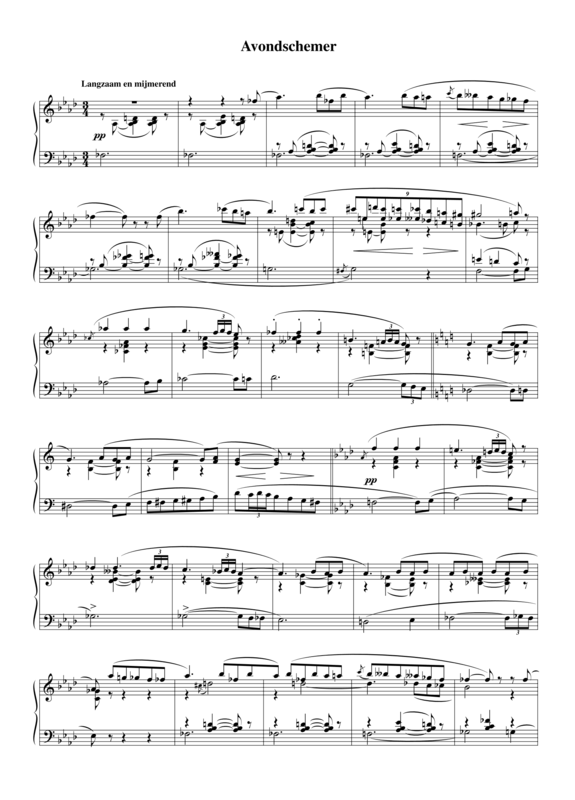 (BD V:32) Almost ten years later, on 16 April 1915, Diepenbrock noted down Avondschemer (Evening Twilight), his only work for piano, which may have been intended as a supplement to the weekly De Nieuwe Amsterdammer (see BD VIII:XI). One and a half year passed after the tragic death of his close friend W.G. Hondius van den Broek in September 1913 and composing Ecce quomodo moritur (RC 119), in which Diepenbrock did not start any new pieces. He only made a simple arrangement of Simeon’s Lofzang (Canticle of Simeon, RC 120), which has references to death. Avondschemer is a short, melancholic work. According to an annotation on the loose sheet on which Diepenbrock notated the 49 measures, the piece has the movement of a very slow waltz (Mov.o di Valse très lente). This corresponds with the indication “Langzaam en mijmerend” (Slow and contemplative) in the neat copy. The title Crepusculo (Latin for “in the evening twilight”) is very much in line with Diepenbrock’s predilection for musically depicting peaceful, evening scenes. The harmonies are strongly determined by augmented triads and other chords based on the whole tone scale. Chromaticism plays an important role in the wistful melodies. The sound is very Debussian. At the initiative of the Alphons Diepenbrock Fund (ADF), Avondschemer was published in 1922 by A.A. Noske in The Hague, as number 1 in the ADF series. Most likely the work was not performed in public before the appearance of this edition.